The nation’s complex and hotly debated healthcare system affects us all. Washington Square wanted to hear from alumni insiders who are shaping the industry—from hospitals and biotech companies to medical devices and research and development. Here is our full conversation with ​Phil Pesta, ’94 General Design Studies, vice president of operations at BioCardia.​ Read Q&As with all 10 alumni healthcare leaders. I was born and raised in south San Jose. Attending SJSU is a family tradition—I followed along with older siblings. My two brothers were able to support themselves while going to school at SJSU. It aligned with what I was doing as an industrial model maker, so it seemed like a logical degree choice. What is your best memory of your time at SJSU? I really enjoyed all of the studio art classes. My clearest memory: I met my wife of 23 years at an SJSU fraternity party. What would you want people to know about SJSU? It is a great value and great education right here in our own backyard. I have only heard great things in terms of partnering with local industry with graduate students who are ready to hit the ground running. What is BioCardia and what is your role there? We are a clinical-stage regenerative medicine company developing novel therapeutics for cardiovascular diseases with large unmet clinical needs. I am the vice president of operations. I focus on the people and process management for manufacturing, which is something I naturally gravitated toward. In the art department at SJSU, there were a lot of group-based projects. Learning to collaborate has been a huge benefit. There was a lot of compromising and communication, and reaching a goal that had a deadline—and we were held accountable for it. There was more value in doing well as a team, rather than a grade on a paper. What inspired you to work in healthcare? I was a model maker at the NASA Ames Research Center. Aerospace projects were quite cyclical in terms of workload. We were always wondering, would it survive? I was doing research on what other careers would be an option for my background and found an article about healthcare being a booming industry. With more research, I found that the medical device industry had three major pockets of innovation in the U.S., and the Bay Area was one of them. I opened the San Jose Mercury News and found my first medical device job. I haven’t really had to interview since that first job, always able to tune into my network and contacts to land on my feet. What is the biggest challenge with U.S. healthcare today? The biggest problem is what we’re hearing about in the news quite a bit today. Everybody should have access to health care. That means everyone who is in our borders, and all healthcare, including mental health. How does BioCardia address a major patient need? BioCardia is developing proprietary comprehensive biotherapeutic solutions for cardiovascular disease in its CardiAMP and CardiALLO therapies. 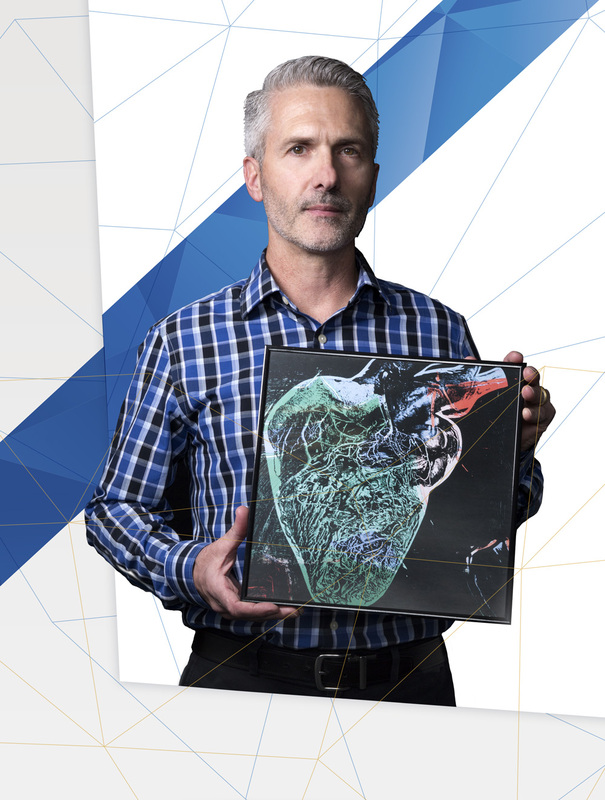 Clinical results supporting both therapeutic programs are compelling and build upon the most rigorous data in the field to date with intramyocardial delivery of marrow-derived cells. What does the healthcare industry need most from academic partners who are training the next generation of innovators? Encourage more work cross-functionally. Pair up nursing students with industrial design, psychology and business students. Have them innovate processes and therapies for improved patient outcomes. Get all of those different disciplines working together, and help them to understand all facets of patient-centered design. What skills do you look for when you hire new talent? Experience: Are they experienced in the field? And also in the things you can’t teach in school. What kind of person are they? What are their activities, where do they spend time when not working, what motivates them? We want excited, motivated and passionate, as opposed to just showing up for work. What should everyone know about healthcare? What I’ve learned through experiencing treatments from doctors and dentists and the like is to know and be educated on what your options are. Do your own research, form an opinion. Patients are people. Doctors are people as well. Start a dialogue. What advice would you give caregivers and providers? To people in healthcare—focus on the patient. Address and identify patient needs. It’s not just treating a disease. You’re treating the person. On the personal side, we have two children, and our daughter Teagan passed away from a rare form of leukemia some years ago. “We” were treated at Lucile Packard Children’s Hospital Stanford, where they assigned a child life specialist, who made sure she still enjoyed all the things children love to do. What is your one message for your fellow alumni? Be excellent. Make SJSU proud with what you are able to accomplish. Take all the great skills and knowledge and make this a better place for all of us. I found this very inspiring. Thank you for sharing this post! Very insightful. We need of people like him who are ready to shape the world and make it a better place to live in. Thanks for sharing!